Karen Norheim is passionate about all things manufacturing. 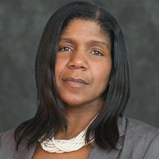 As Executive Vice President of American Crane and Equipment Corporation, she oversees the successful day-to-day operations of a 180-person manufacturing facility headquartered in Douglassville, Pennsylvania. American Crane is recognized as a leader in the design and manufacture of electric overhead traveling cranes, wire rope hoists and custom engineered lifting equipment. Ms. Norheim manages all company operations with an emphasis on continued expansion, growth and long term strategy. This includes all marketing and information technology utilizing established network and computer systems. Ms. Norheim is an advocate for encouraging young people to consider a career in manufacturing – particularly women. She is a frequent speaker at local schools and professional organizations. She received a dual Bachelor of Science degree in both Marketing & International Business and International Studies from Pennsylvania State University. She also has a Master’s degree in Information Science and an MBA from Pennsylvania State University. 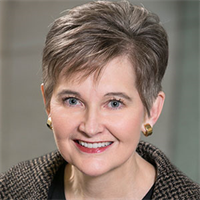 Lynn Kier has served as vice president, communications and marketing for Schaeffler in the Americas since joining the global industrial and automotive supplier in January 2015. She is responsible for developing integrated marketing and branding strategies as well as leading public relations and communications initiatives across North and South America. Before joining Schaeffler, Lynn served as senior communications manager and as new business development manager for Delphi Automotive. Prior to Delphi’s separation from General Motors, she held several positions with the automaker, including global customer manager, business planning manager and financial analyst. Lynn also was a senior research analyst for the Treasury Department’s Office of the Comptroller of the Currency. Lynn holds master’s degrees in economics from the University of South Carolina’s Moore School of Business and in human resource development from Oakland University. She also is a graduate of the International Business Consortia at the Thunderbird School of Global Management. Lynn earned her bachelor’s degree in economics from Allegheny College. 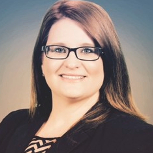 Bracewell LLP Caitlin Sickles has a decade of experience in strategic communications. Her focus is on the design and implementation of comprehensive, multi-platform communications campaigns for a range of companies and associations in sectors, including manufacturing, consumer products, national security, healthcare, energy, and the environment. Her work includes message development and delivery, reputation management, and crisis communications. Caitlin leads the Policy Resolution Group’s digital communications program, providing comprehensive brand development counsel, including sophisticated social media management and its use for effective advocacy. She frequently conducts seminar sessions and one-on-one trainings to help clients define and amplify their brands in-person, in the media and online. 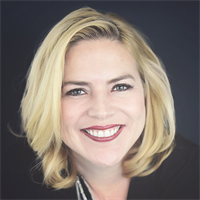 Tammy Fischer is an experienced Financial Executive and CPA, with over 17 years’ experience as a leader in small to medium sized companies and start-ups, in software, logistics, and manufacturing. Tammy has a background in strategic planning, risk management, contract negotiation, and operations development. 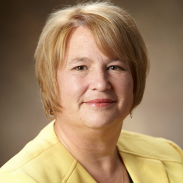 Tammy is currently CFO, VP Finance of Valentine Enterprises in Lawrenceville, GA. Prior to joining Valentine, Tammy held the position of CFO, Head of Finance & HR for Rossi North America, a subsidiary of the Habasit Group (a Swiss manufacturer), and previously Corporate Controller and Head of Finance & HR for Habasit’s Canadian operations. Leading more than 600 associates across 18 operating facilities and six technologies, Veronica Braker serves as vice president of operations for BASF’s Performance Materials division in North America. Throughout her 25-year career, she’s gained experience in process and project engineering, quality, supply chain and operations leadership. As a certified Six Sigma Black Belt and Master Black Belt, Veronica’s deep understanding of Operational Excellence and lean principles have resulted in significant, measurable improvements in productivity and quality savings. In addition to leading her team to a 50 percent reduction in safety incidents, she’s developed a highly-engaged work group that has delivered a sustainable track record and future roadmap of improvements. Veronica launched a three-year career development program for BASF North America females to improve the representation of women in manufacturing and technical roles, also championing various other safety and industry initiatives. As an active member of several fully-inclusive employee resource groups and organizations, she participates on panels at national conferences for entities such as The Society of Women Engineers and the National Society of Black Engineers, among others. As an active mentor, Veronica is passionate about helping others find success and works closely with team members and individuals throughout various stages of their lives and careers. She’s passionate about manufacturing and takes every opportunity to instill that passion in those around her. Veronica is also devoted to serving her community by volunteering with organizations such as Forgotten Harvest, Capuchin Soup Kitchen, The Guidance Center and Life Remodeled—the largest volunteer effort for BASF in Michigan. She is passionate about advocating careers in STEM outside of her own profession, and actively participates in Science Days for elementary and middle school students to further their interest in these vital industries. Leah Curry is President of Toyota Motor Manufacturing West Virginia, Inc. (TMMWV) located in Buffalo, West Virginia. TMMWV, established in 1996, manufactures 4-cylinder engines for the Camry and Corolla and V6 engines for the Highlander and Sienna. In addition, TMMWV manufactures 6-speed automatic transmissions for the Avalon, Highlander, RAV4, Sienna, and Lexus RX 350 and 8-speed automatic transmissions for the Camry. Leah is responsible for all manufacturing and administrative functions of the manufacturing plant. Prior to this assignment, she was vice president of Manufacturing at Toyota Motor Manufacturing Indiana, Inc. (TMMI) in Princeton, Ind., where she oversaw all manufacturing operations at the plant that produces the Highlander, Sienna and Sequoia. 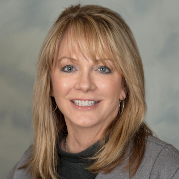 During her 20-year career with Toyota, Leah held several other manufacturing management positions at TMMI including general manager of Assembly and management positions in Body Weld, Stamping, Maintenance, Production Engineering and New Model launch. She started her career as a team leader at TMMI in 1997. Leah studied Industrial Electronics at the University of Evansville and Ivy Tech Community College in Evansville, Ind. She holds a TPC Certification in Industrial Electronics. Leah serves on the National Board of Directors of the Manufacturing Institute, and is a board member of The Clay Center for the Arts and Sciences and The Education Alliance, a private, non-profit organization that advocates for public school student achievement in West Virginia. She lives in Hurricane, WV, and is a native of Haubstadt, IN. She and her husband David have four adult children. Erika Ferrell joined Sub-Zero Group Inc. 12 years ago. moving up through the ranks to her current position of Director of Information Technology. Sub-Zero Group Inc. is a privately held company headquartered in Madison, WI that manufactures best-in-class luxury appliances. In her role, she has extensive experience working to align and move strategies forward along with a passion of building strong teams. Erika has led teams through conversions, deployed self-serve analytics capabilities to the business, and was responsible for a new state-of-the-art data center and building a security practice. Erika holds a degree in Management from Upper Iowa University and a Microcomputer Specialist Degree. She is also active on advisory committees for local Technical Colleges. 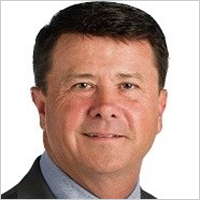 As Vice President, Supply Chain Network at GE Appliances, a Haier company, Bill Good is responsible for managing all GEA factories and leading the entire Supply Chain network through its Lean transformation. Under Bill’s leadership, his team has developed GEA factories into world class industry leaders in operational excellence, differentiated quality, advanced manufacturing and expertise, and technical and operational talent development. Bill joined GE Appliances from Whirlpool where, over the course of eight years, he held positions of increasing scope and responsibility, including: Director of Assembly Operations at both the Findlay and Clyde Divisions; Director of Lean Operations across North America Manufacturing; Director of Operations at the Findlay Division; and Plant Manager at the Greenville Division. Bill’s career began with Diversified Products in 1988 before moving to Tri-Glas in 1994 as the Division Manager responsible for the manufacture of automotive components for Ford, Chrysler, GM, Kenworth, and Peterbilt. After moving to Char-Broil, he served multiple roles over the next 10 years to include serving as the Vice President of Operations. Prior to his promotion to VP, Bill led the Decatur Plant through a revitalization of our product lines, including a $120 million investment to our equipment and machinery, including a redesign of our products. 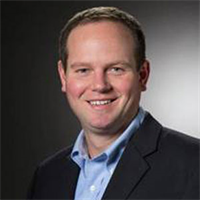 Bill holds a Bachelor of Science degree in Operations Management from Auburn University, and an MBA and a master's in Human Resources from Troy State University. Bill and his wife have two children and reside in Louisville, Kentucky. Amanda Hendry began her career with Sherwin-Williams in 2006 as a Regional Human Resources Coordinator in Global Supply Chain. Since that time, she has held roles of increasing scope and responsibility including HR Generalist and HR Manager for two manufacturing plants in the Atlanta, GA area; Area Human Resources Manager in The Americas Group, and Regional HR Director for Global Supply Chain. In 2016, Amanda relocated to Cleveland, OH, as the HR Lead in Global Supply Chain for the Valspar Acquisition as the Global HR Director of Integration. Her most recent assignment is the Director of International HR Operations supporting five regions with 75 manufacturing facilities. Much of Amanda’s most recent work has included the integration of acquired facilities around the world. Prior to joining Sherwin-Williams, Amanda worked for The Ritz-Carlton Company. Amanda earned her Bachelor of Science Degree in Political Science from Georgia College & State University and an MBA in HR Management. She also holds a Certification in Contract Administration and Labor Relations from Cornell University. Katie Kelley currently serves as a Vice Chair BMO Harris Bank in the US. She is responsible for working with new and existing clients in Commercial Banking and for strategic engagement in growing market share in all of BMO Harris Banks regional markets. She also Chairs the Talent Committee of the US Commercial Bank and co-chairs the US Diversity and Inclusion Council. 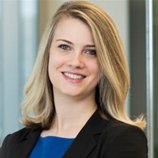 Katie is leading an effort in the US Commercial Bank to expand our Women's Leadership Development programming and serves as a formal mentor to a number of young women in the banking community across BMO’s footprint. She has been in the Commercial Banking business since 1983 and has led and managed commercial business lines since 1988. Prior to her current role she was the Sector Executive of BMHB Expansion Markets group within Commercial Banking covering nine states across the US. She joined BMO Harris Bank as part of the acquisition of M&I Bank. 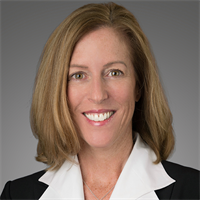 Prior to the acquisition by BMO Harris Bank, Katie was M&I’s Sr. Vice President of Strategy for Commercial Banking Expansions Markets and Sector Head of Global Treasury Management Sales. Katie has been active in the community and in serving on nonprofit boards for the last 25 years. Her service includes terms with the Girl Scout Council of St Croix Valley, Gillette Children’s Foundation, CommonBond Communities and the University of Minnesota Children’s Hospital Foundation. Katie is currently serving on the Regions Hospital Foundation Board of Directors and the Women in Manufacturing National Board of Directors. Susanne joined AGCO Corporation 6 years ago. AGCO is a Fortune 500 company headquartered in Duluth, GA that manufactures agricultural equipment at various locations around the globe, and has roughly 20,000 employees. 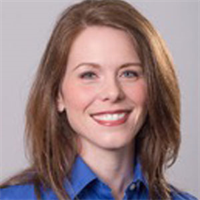 In her role as Global Project Lead for Manufacturing Automation she represents the business in regards to the Enterprise PLM (Product Lifecycle Management). Susanne also drives the global strategy for Manufacturing 4.0 (Smart Factory), and manages a team that investigates the potential applications for new production tools, such as Additive Manufacturing. Susanne holds a degree in production engineering from her native Germany. Prior to working for AGCO she has worked at MTU (Diesel engines), Zeppelin New Technologies (aerospace components), Rheinmetal (defense), Siempelkamp (foundry, forging presses) and INP (manufacturing consultant). In April of 2017 she received the prestigious STEP Ahead Award from the Manufacturing Institute for her achievements as a female in the manufacturing industry. Amy M. Meyer is Vice President, Technical Services for Kohler Co. In this role, Amy is responsible for the management of all aspects of Global Procurement; Aviation and Business Travel; Architecture and Interior Design; Construction Engineering and Management; Facilities, Maintenance and Grounds; Machine Build and Process Automation; Global EHS; Energy Management; and Kohler Operating Systems. Amy joined Kohler in February 2009 as Vice President-Engineering, Kohler Engines, where she was responsible for global engineering and the execution of product innovation for Kohler Engines. In January 2014, Amy was promoted to Vice President, Kohler Operating Systems, where she was responsible for company-wide supply chain and manufacturing Centers of Excellence along with three service-based, global organizations: the Chemical and Metallurgical laboratory, the Machine Build and Process Automation Team and the India Technical Center. Amy is passionate about the personal development of her associates. She lives by the motto of “hire great people and enable them to do great work” by providing clear goals and authority, giving direct and honest feedback on both strengths and weaknesses, and celebrating personal growth through successful results and challenging setbacks. Amy holds a Bachelor of Science degree in applied Mathematics from Michigan Technological University. Additionally, she has completed a Master of Science degree in Computational Mathematics from Michigan State University and a Master of Science degree in Manufacturing Engineering from Case Western Reserve University. Bill Smith sold his southern Wisconsin accounting firm 19 years ago and bought into the family business, Termax Corporation (metal stamping for the automotive industry), becoming CEO in 2002. Bill later became involved with the Precision Metalforming Association, becoming chairman of the association in 2015. Termax’s workforce is 72 percent Hispanic, so Bill has an affinity toward the immigrant community. He became a Court Appointed Special Advocate (CASA) worker in his area, which has allowed him upfront access to needy families in the area. Bill was born in Kalamazoo, MI, and was raised in Arlington Heights, IL. He attended Illinois State University (Bloomington/Normal, IL), and graduated from the University of Illinois in 1978. Bill is married with many children and grandchildren, and started a horse farm after the children were grown. For the last 10 years, his avocation has been running. Thus far he has participated in half-marathons in 36 states and two countries. Global HR experience across diverse industries; including Automotive, Engineered Services and Pulp/Paper. Serve as trusted coach and adviser to the leadership team; while building effective relationships at all levels. Collaborative change agent with a record of driving results in complex matrix organizations during cultural renewal. Specialties: Strategy development, organizational design and development, leadership coaching, labor union negotiations, M&A and divestitures, influencing and leading teams to positive outcomes. 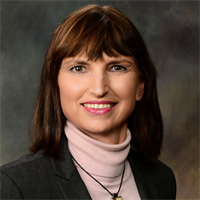 Griselda Abousleman was appointed Ingersoll Rand's vice president, integrated supply chain for Fluid Management, Material Handling and Power Tools in August 2015. In this role, she drives continued improvement of the value streams and is responsible for a supply chain strategy to optimize performance in critical operational areas, including cycle time, delivery and quality for three of the company's 11 strategic business units. 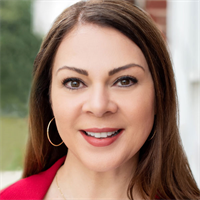 Ms. Abousleman joined Ingersoll Rand in January 2013 as a director in operational excellence with the company's residential solutions business in Tyler, TX. She was appointed in January 2014 to one of two regional operational excellence leader roles for North America and was appointed vice president, operational excellence in November 2014. 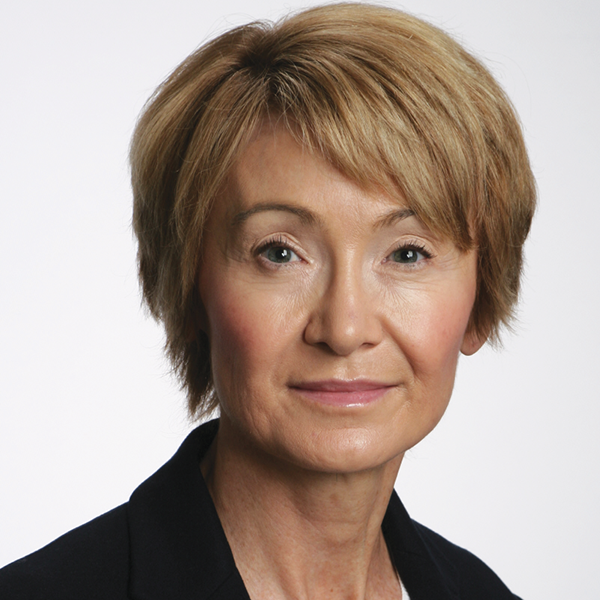 Prior to Ingersoll Rand, she was with Honeywell as director, global growth; Flowserve as a multi-site leader; Volvo-Novabus as senior manufacturing engineering manager; and AlliedSignal as lean supervisor and global transitions leader. Ms. Abousleman holds a bachelor's degree in industrial engineering from Stanford University, which includes overseas study in economics from the Pontificía Universidad Católica de Chile, and a master's degree in business administration from Arizona State University. She has also earned her Lean Master certification from Shingijutsu and Honeywell, and is a member of the National Society of Hispanic MBA's, a member of the Society of Women Engineers, and is a board member of Women in Manufacturing.